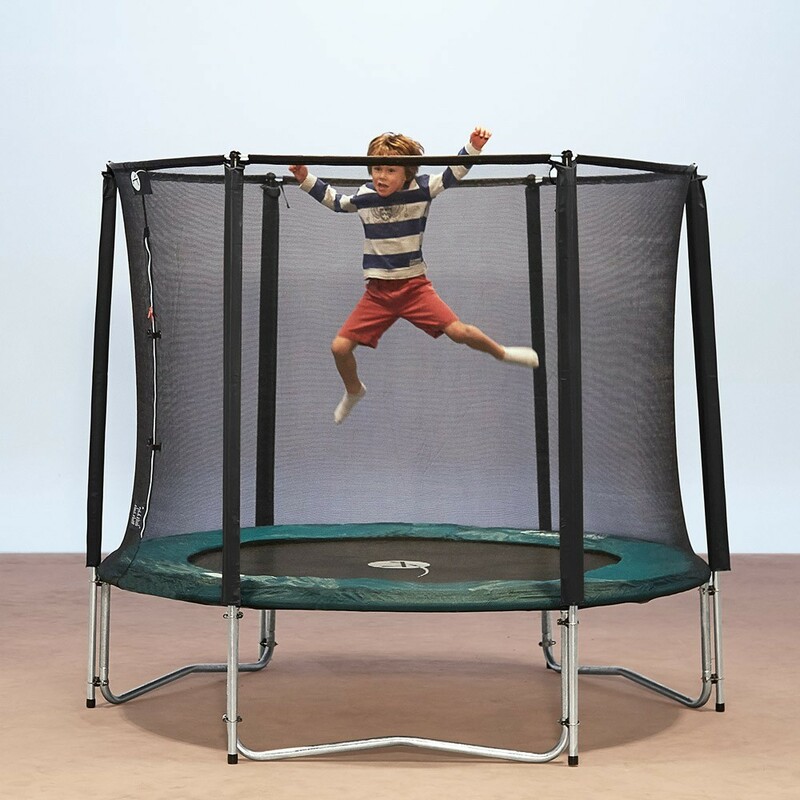 The round 10ft Jump’Up 300 trampoline will allow you to maximise space in your garden as it only measures 3.05 m in diameter. 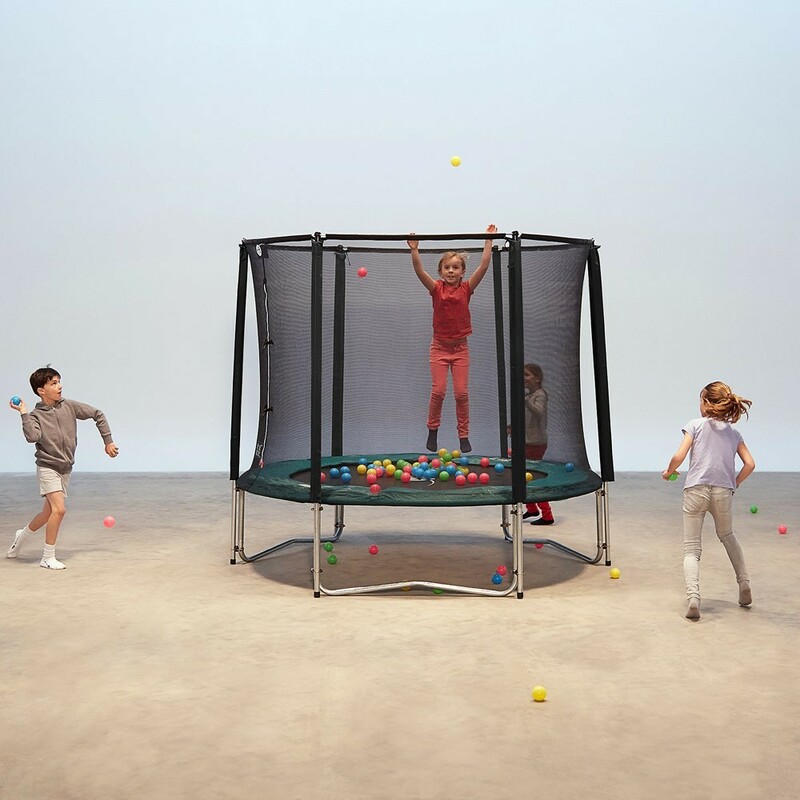 As with all the other trampolines in our Jump’Up range, it has been designed to be resistant and withstand up to 120 kg in weight. 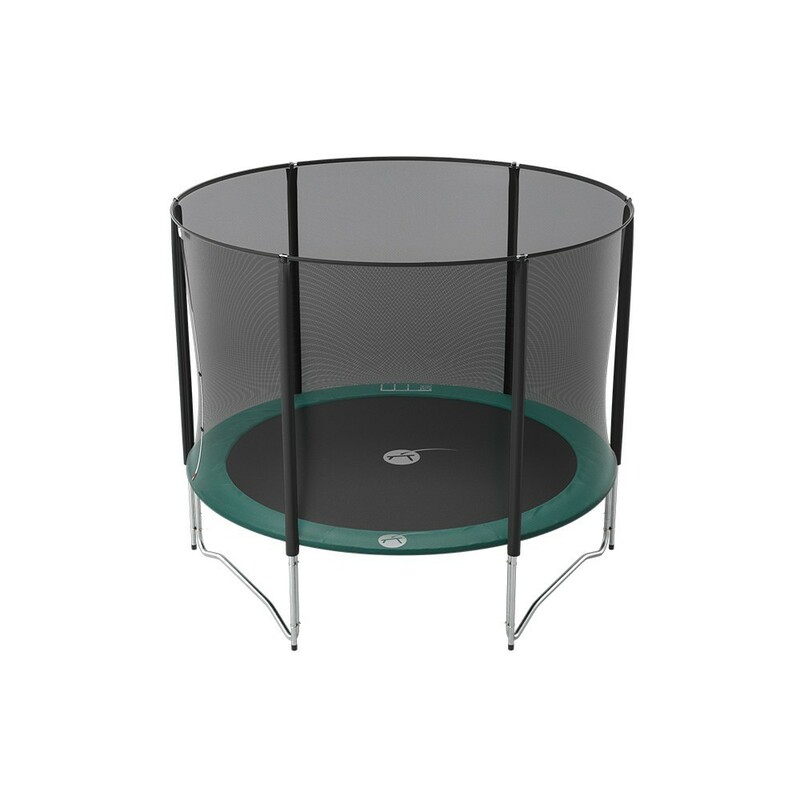 - The framework is entirely hot-dip galvanized; therefore you can safely leave your trampoline outside all year round. 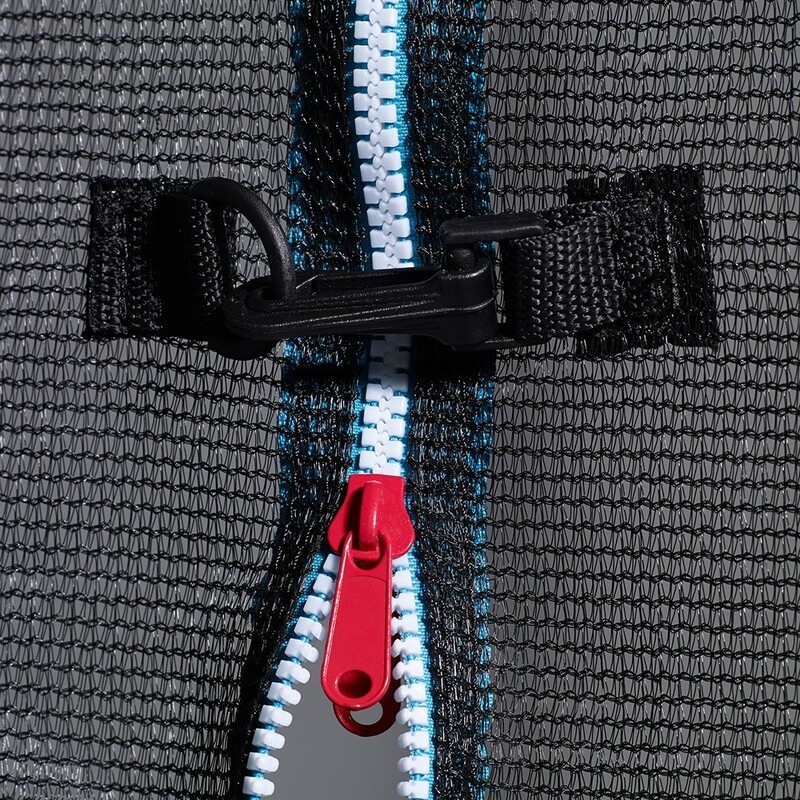 Its tubes have a 38 mm diameter, are 1.5 mm thick and are maintained by our exclusive T-junction system. 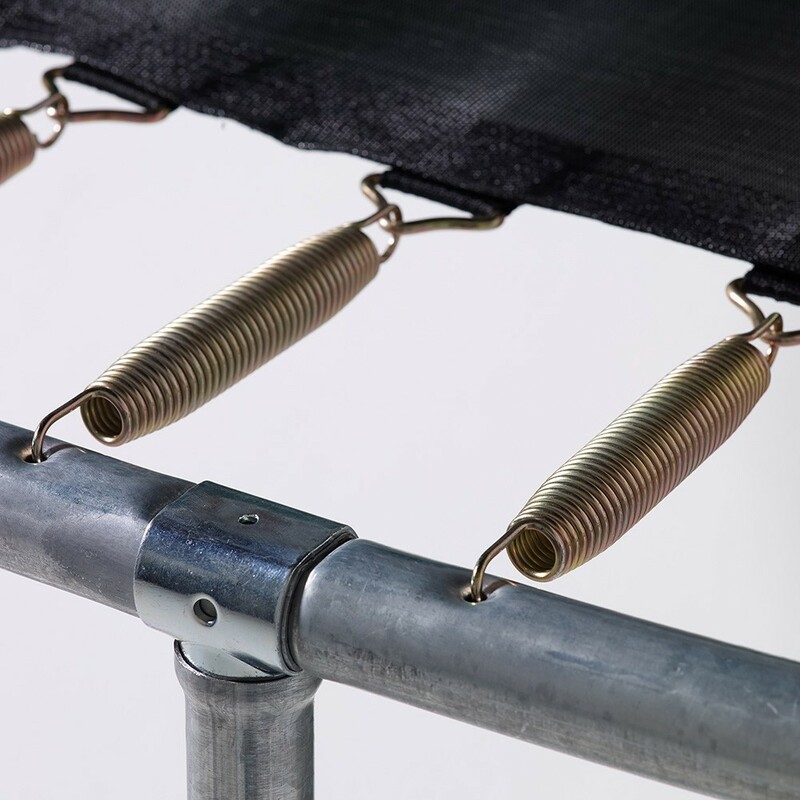 This avoids any form of welding, which weakens the structure and also guarantees that your trampoline will last for a long time. 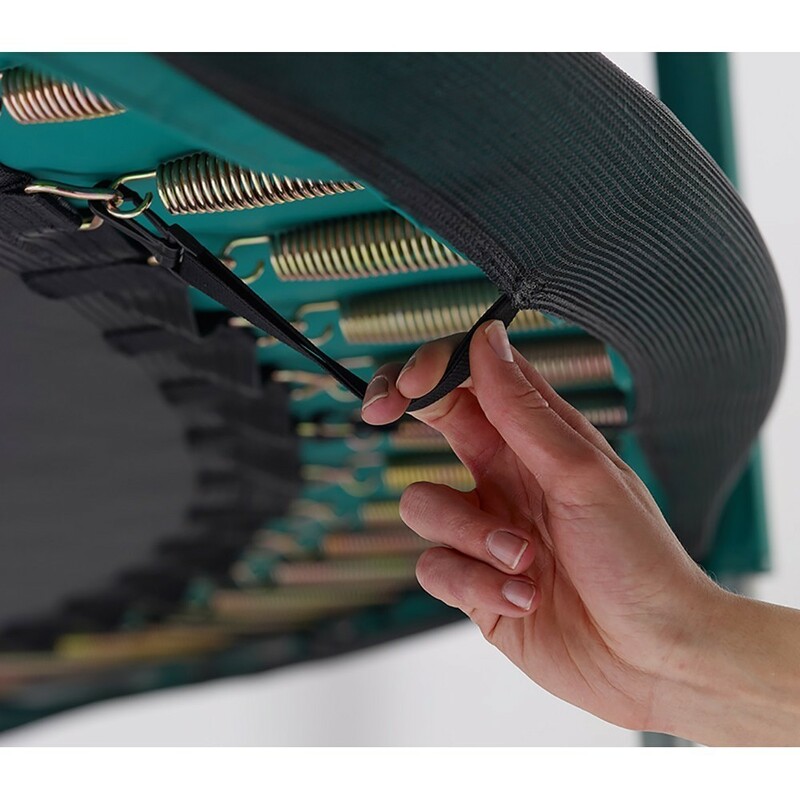 - The jumping mat, a highly used part of the trampoline, has been designed with a high level of requirements: the spring attachments are firmly held to the mat using 8 rows of stitches and a reinforcement strip. 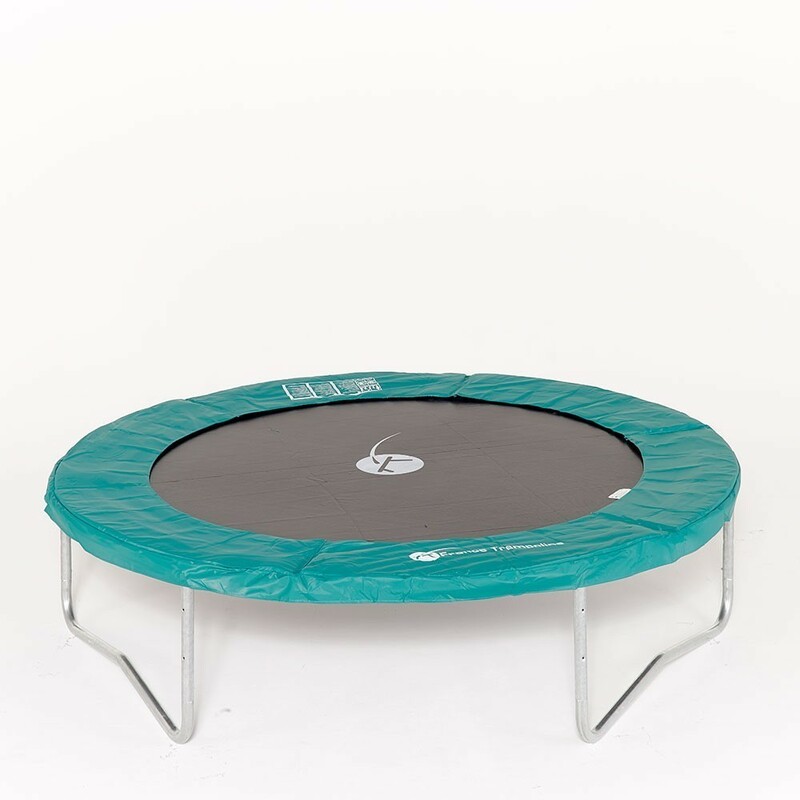 - The 54 springs of 180 mm give a dynamic bounce to the trampoline. 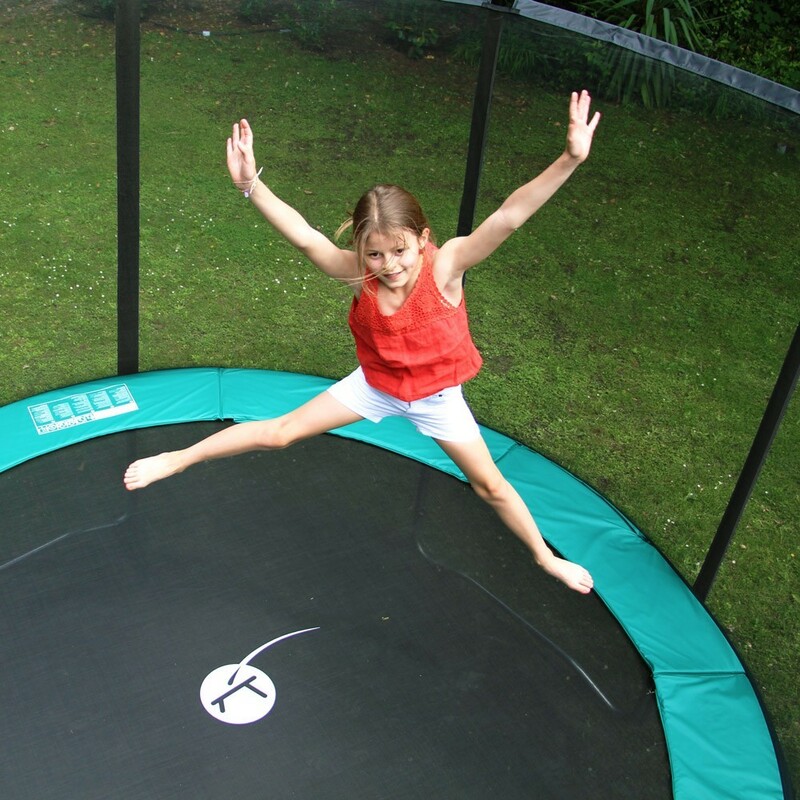 Beware of low-cost trampolines and their springs of 140-160 mm in length, preventing you from achieving high, repeated bounces. 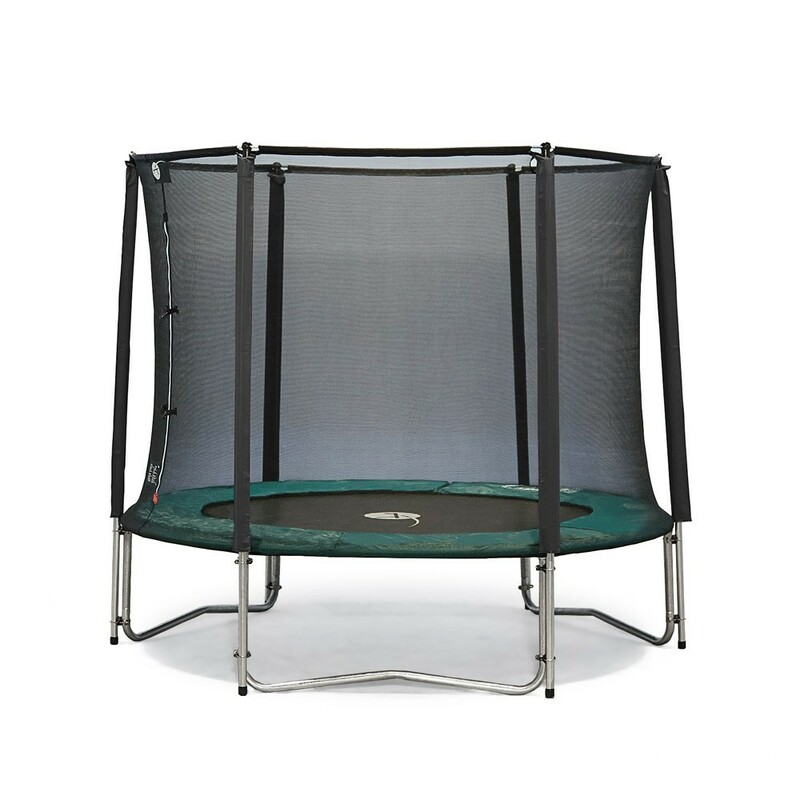 Your family will be able to use this trampoline all day, everyday. 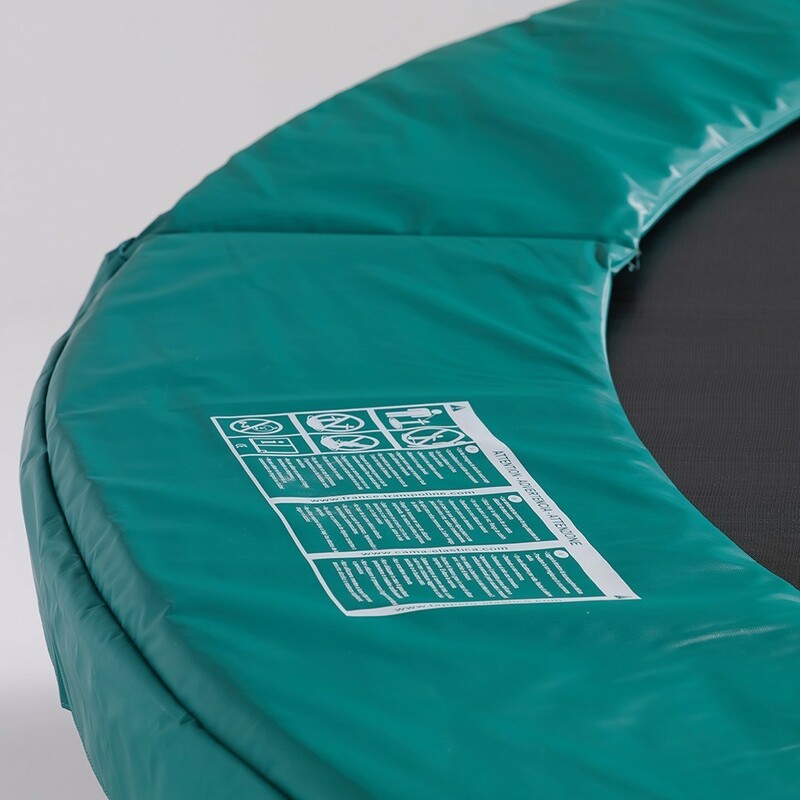 - The green frame pad protecting your Jump’Up 300 trampoline is 20 mm thick and is made of monobloc EPE foam and a dense, waterproof PVC cover of 650mg/m2. This weight is comparable to the tarpaulin used for lorries. 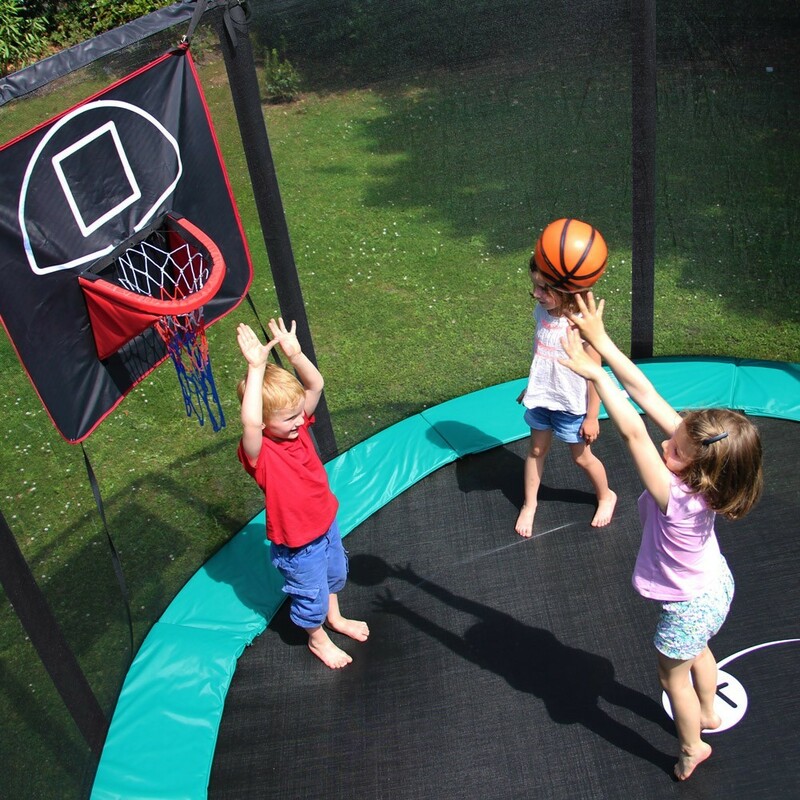 - This trampoline also comes with a trampoline enclosure. 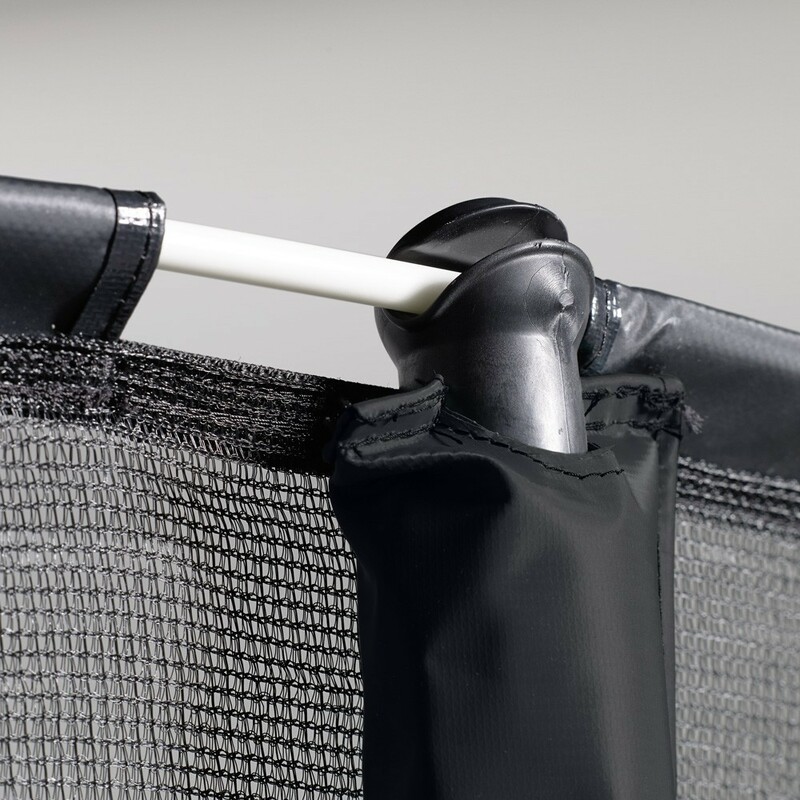 The posts have a 32 mm diameter (compared to the 25 mm on a low-cost trampoline). 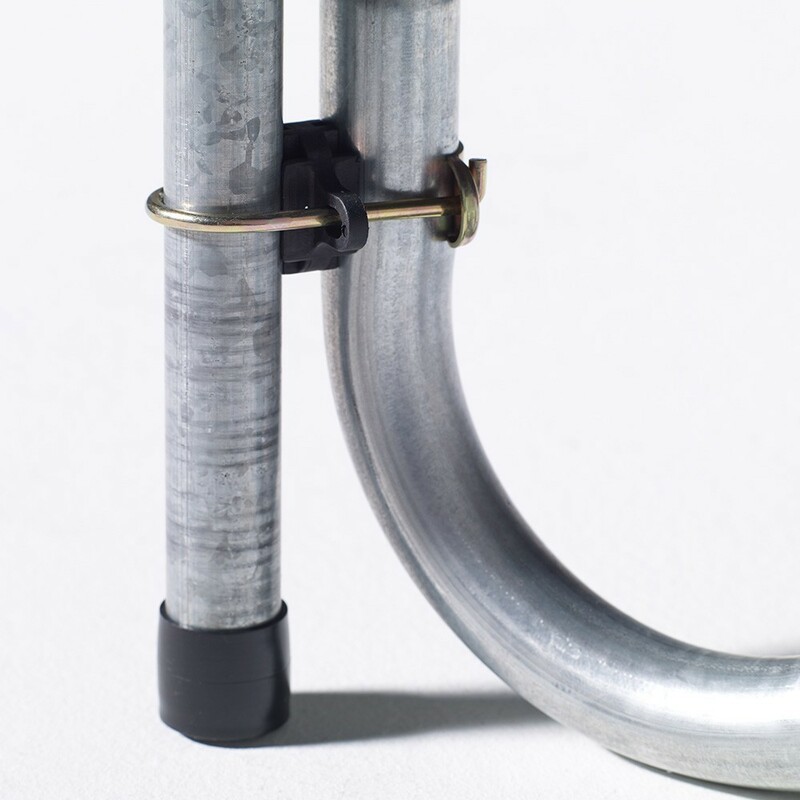 These posts are hot-dip galvanized. The uprights go down to the ground and are held in place by two fixation points. For safety and aesthetic reasons the enclosure is stretched using fibreglass rods on top of the posts. All of these parts ensure the longevity and reliability of our enclosures compared to discount enclosures.